Are you a Shopaholic? Do you like exclusive parties? 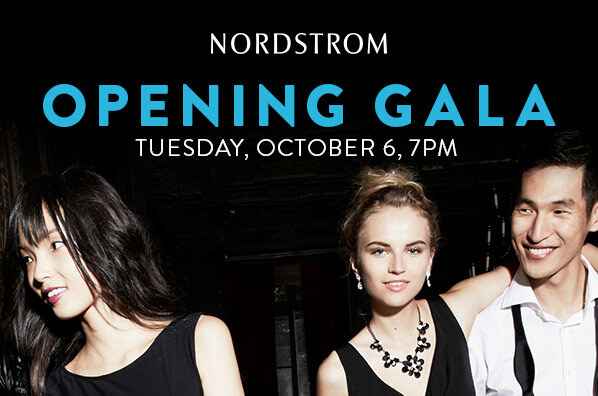 Then don’t miss the grand opening of the new Nordstrom Del Amo Fashion Center. On October 6th before the store is open to the public enjoy a night of champagne, cocktails, dinner and dessert stations, and live entertainment. This event will be an evening you do not want to miss that includes a storewide celebration with fashion presentations, private shopping, and a parting gift. We’ve been told this Nordstrom store is going to rival South Coast Plaza so all of our Redondo Beach, Manhattan Beach, and South Bay friends will have the best amenities right here in our backyard. Nordstrom is excited to be partnering with Honorary Co-Chairs Nancy O’Dell and Zendaya. You may recognize Nancy O’Dell from Entertainment Tonight where she is a television host. Zendaya is a former Disney Channel star from the show “Shake it Up” and is now focusing on her music career. Walk With Sally is proud to be partnered with Peninsula Committee of Children’s Hospital Los Angeles as one of Nordstrom’s charity partners for the event. Tickets are $100 and all of the proceeds from this fundraiser will be split evenly between Walk With Sally and Peninsula Committee of Children’s Hospital Los Angeles. The doors open at 7 p.m. So don’t miss out, buy your tickets today at www.nordstromrsvp.com/delamogala.